It was a dream of Harold Wilson, Leader of the Labour Party, an Open University. In 1966 Labour’s general election manifesto contained a commitment to establish the University of the Air. Wilson was returned with an increased majority and in September 1967 his Cabinet agreed to set up a Planning Committee ‘to work out a comprehensive plan for an open university’. 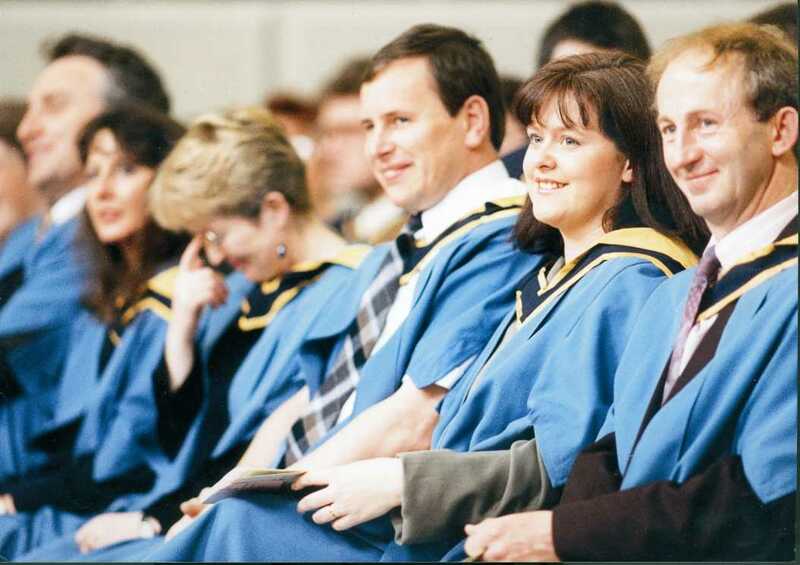 The Open University has given opportunities to so many, which otherwise would not have been possible. We have grown so used to it, we now take it for granted, but as Alicia J Duffy writes, all this is now under threat. If I told you that there is a way to get a degree without A levels, would you believe me? If I told you that the university accepts all students, and that you can study at home, in prison, on an oil rig or anywhere else that you might happen to be? If you could study how and when you like, whether that be in bursts of activity with gaps in between, steadily in short bursts on the bus or when the kids are in bed, or full time? That you would get support off a tutor, optional tutorials and online social support? The Open University is a wonderful organisation. Launched in 1969, it currently has more than 260,000 students, mostly in the UK. A network of nearly 7000 tutors support these students, often alongside working in a traditional university, and 1.6 million people have studied with the university since it was founded. The university has a stated aim of helping people acheive potential despite barriers that would prevent study at many universities – 12,000 disabled students a year study with the OU, and up to 44% of the student body started without the qualifications that would normally be needed for university study. However, the degrees and other qualifications are well respected – studying with the OU shows a determination and level of self organisation that many employers find very attractive. The university produces television documentaries and study resources for other universities and schools. It also makes a huge range of learning resources freely available at OpenLearn, which is well worth a look for anybody interested in thinking and learning, as well as through iTunes and YouTube. It is now at risk. Due to changes in student finding arrangments, the university is having to stop providing the financial support system that it has been helping thousands of students with. Fees are increasing for all students across the university – a student starting an honours degree in September 2012 will pay approx 15 thousand pounds for their degree in total, around three times the full fee the year before. Many students currently pay either a reduced fee or no fee at all, depending on income, and all students have access to a budgeting account to spread the cost. What’s more, students will now have to apply for funding through the student loans system, meaning that students who already have a degree or who are otherwise barred from student loans will have to find the money themselves. Studying with the OU is still much cheaper than study at many traditional universities, and the nature of the courses means that working full time alongside study is very possible. Still, the university is suffering from the increase in fees, and many students that could have changed their lives and achieved their potential will be put off by the cost. I really hope that the university can continue to provide this wonderful service for all of us non traditional students. If you feel the same, please sign this petition or, even better, why not register on a course? It is still the cheapest and most flexible way to get your degree, and might just change your life. This entry was posted in Education and tagged Harold Wilson, Open University, OU by adminthinkleft. Bookmark the permalink. I’d say this is deliberate. In olden times what distinguished the learned in thier fine houses from the tillers in the fields was their were mastery of the little known art of writing. They had the letters. Jealously guarding this art maintained a feudal system. Eventualiy the secret knowlegde became better known among the population and was a big step towards the emerging of the middle class. What we’re witnessing here is the reversal of that process. The elites, through their puppet governments, are using money as a weapon to deny knowledge to the peasants, consigning them back to their former feudal state.